More power with the same portability! The Renogy 200W Eclipse Suitcase uses our premium Eclipse panels to give you the most efficiency when charging your portable appliances. 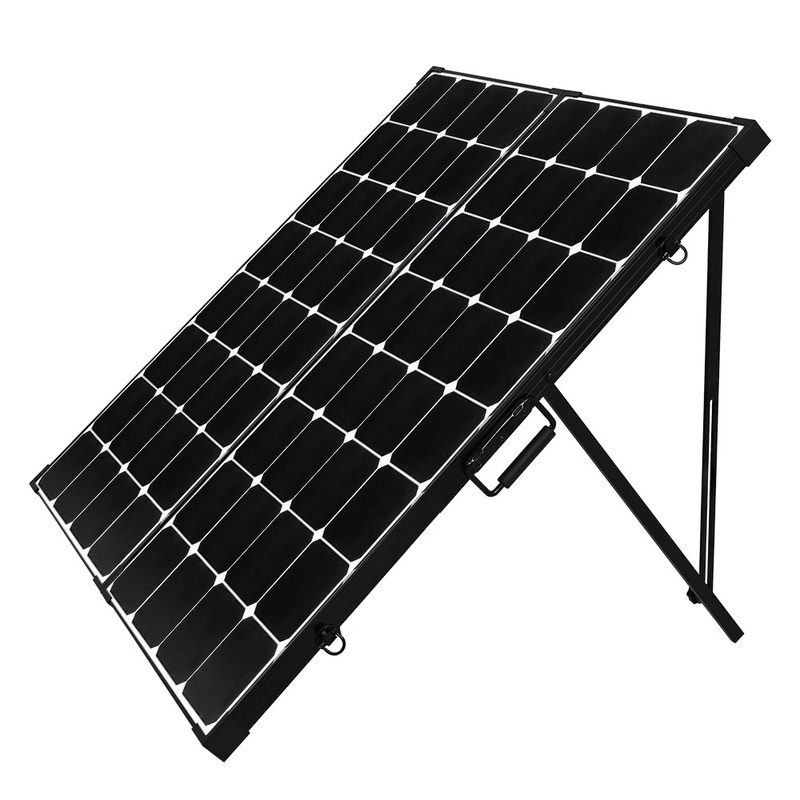 Featuring the same cells as our very popular 100W Eclipse Solar Panel, you will have the highest efficiency Renogy has to offer! Improved leg adjustments allow you to tighten, loosen, and angle your suitcase legs with ease! 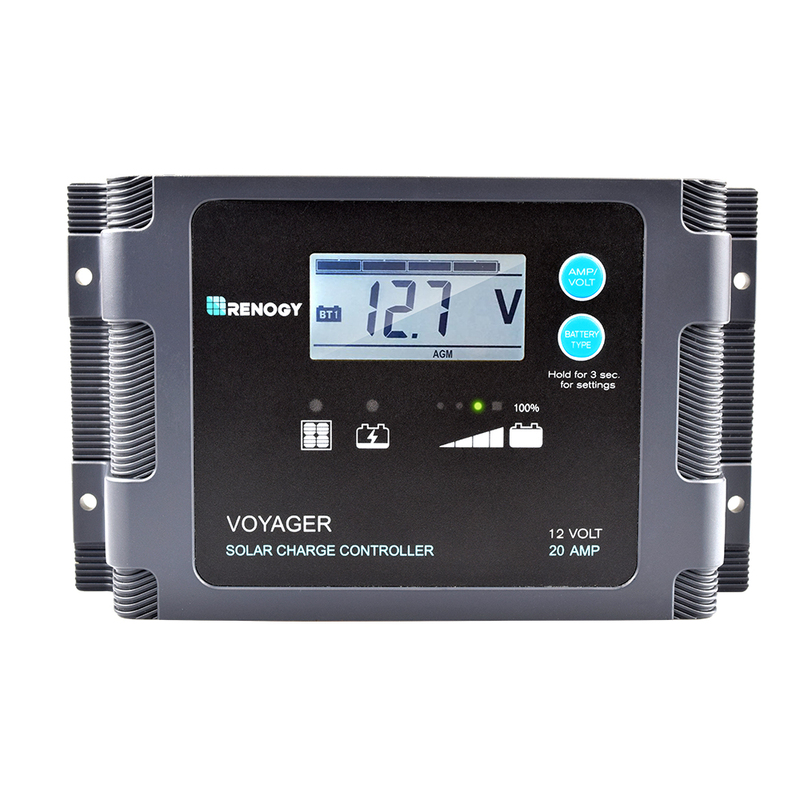 The included Voyager controller allows you to monitor your system with its LCD screen and can be flush-mounted in your RV. 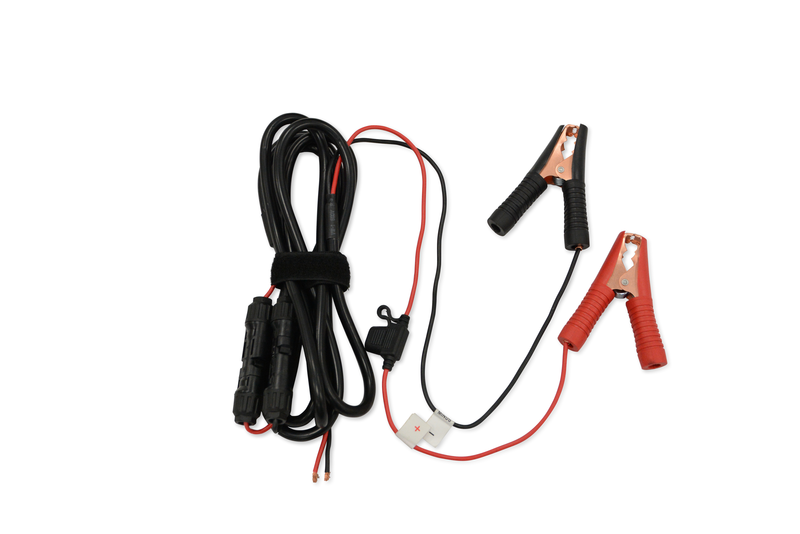 Keep the adventure going with 200 Watts of power anywhere you go! Compatible with Gel, Sealed, Lithium, and Flooded batteries. 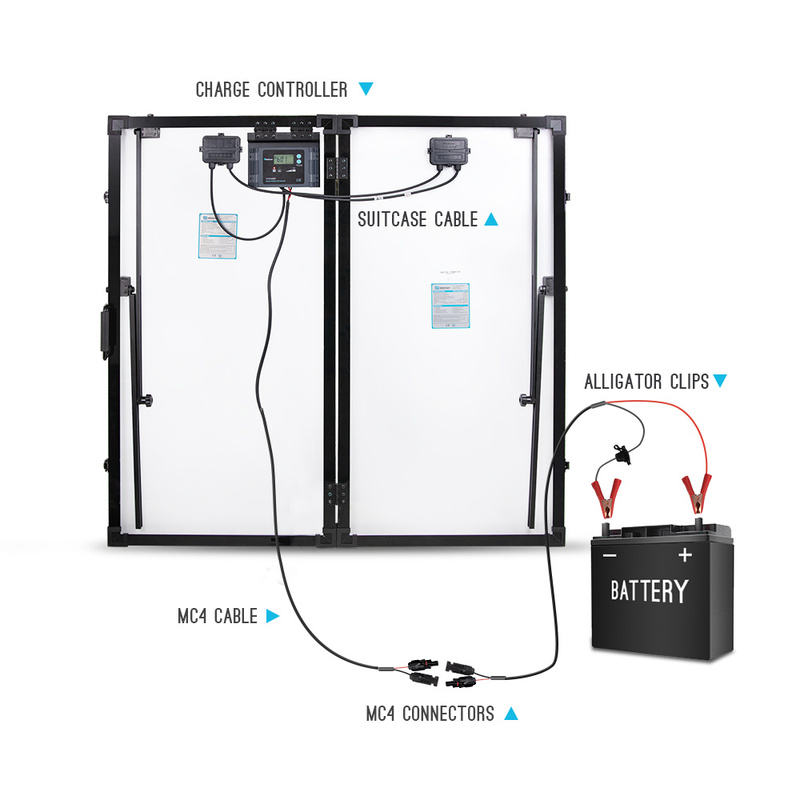 20A built-in 4-stage solar charge controller provides overcharge protection, reducing fire risk.